SpinArt Fractal, originally uploaded by Shaalom2Salaam (Safiyyah). 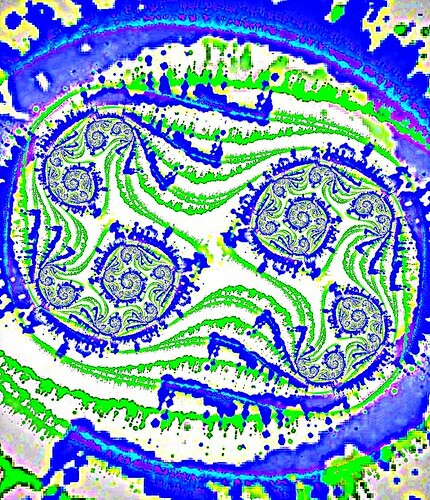 The background of this fractal was made from iPhone app, "SpinArt." It was then iterated in iPad app program, "fractalPhoto."